While many of us may be good directors, photographers, or editors, it’s not a given that we are also good graphic designers. Most editors certainly understand the mechanics and techniques of developing designs and visual effects composites, but that doesn’t by default include a tasteful sense of design. Combining just the right typeface with the proper balance within a frame can often be elusive, whereas it’s second nature to a professional graphic designer. German motion designer and visual effects artist Timo Fecher aims to correct that, or at least expose a wider audience to the rules and tools that embody good design. Fecher has developed the Crossfeyer website promoting a free e-mail newsletter for online training. 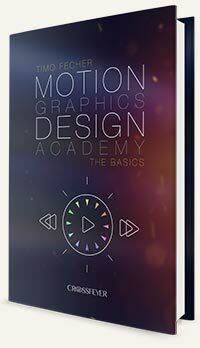 A key component of this is his free eBook Motion Graphics Design Academy – The Basics, which he is giving away to subscribers (free) for the balance of this year. His intent is then to publish the book next year for purchase. I’ve had a chance to read through an advanced copy of the eBook. I find it to be an excellent primer for people who want to understand basic design principles. 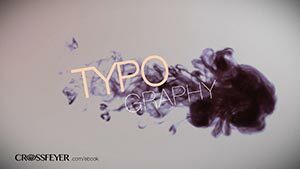 The chapters cover animation, shapes, composition, typography, and more. Like any learning tool, it won’t automatically make you a great artist, but it will give you the guidelines to create appealing design that will enhance your next production. This entry was posted in general concepts and ideas, misc and tagged graphics.